Victoza helps weight loss, so it can be used to treat type 2 diabetes. You can use it often by administering it daily to reduce the symptoms of diabetes. 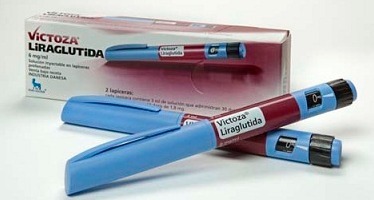 Victoza, commonly known as Liraglutide, is used to treat the symptoms of type 2 diabetes. This drug is intended to help patients lose weight to reduce the risks associated with diabetes, including nerve damage or circulation trouble. Victoza increases the response of the small intestine, allowing it to react to meals more effectively. It also stimulates the beta cells in the pancreas, making it easier to break down sugars that have been ingested. The United Kingdom and United States are already moving to approve Victoza a weight loss drug. Keep readding to learn more details about this. Victoza is administered in daily injection that allows the body to feel full ant satisfied in spite of consuming less food over a longer period of time. This medication also slows down the time it takes for the stomach to digest food and empty into the small intestine, helping to eliminate many of the body's natural cravings for food. Patients have been found to consume fewer calories throughout the day, losing up to 5 percent of their original weight in a matter of weeks, although it is not a weight lose product. In most cases, patients using Victoza did not experience negative side effects. Some patients did report experiencing nausea. In some cases, this nausea led to vomiting, but these side effects were not typically severe or long-lived and did not result in the patient stopping their use of the medication. You may feel increased heartbeat, mood and behavior changes, headache, etc. Kindey problems like no or little urination, painful urination will also be reported. What's more, in studies, animals exposed to Victoza showed an increase risk of developing thyroid tumors. This is believed to be because mice have sensitivity to this condition which is not present in humans. However, if you are at risk for thyroid conditions, discuss any potential risk with your doctor before beginning the use of your medication. Some results of clinical trials have shown a potential increase in the risk of developing pancreatitis. Talk with your doctor about what you can do to reduce this risk if you will be using Victoza. After knowing the relationship of Victoza and weight loss, you should not forget that Victoza's most important function, that is to deal with high blood sugar level. It helps you lower the blood sugar level by slowing the speed that food leaves stomach, preventing liver making more sugar than needed and helping your pancreas making more insulin when the level of blood sugar is high than normal.